Cats are explorers by nature. They love roaming around the neighborhood looking for mischief, some extra food to eat that was sitting on someone's countertop and they just left the window open, so it is all you can eat buffet! And a little bit of extra love won't do anybody harm. 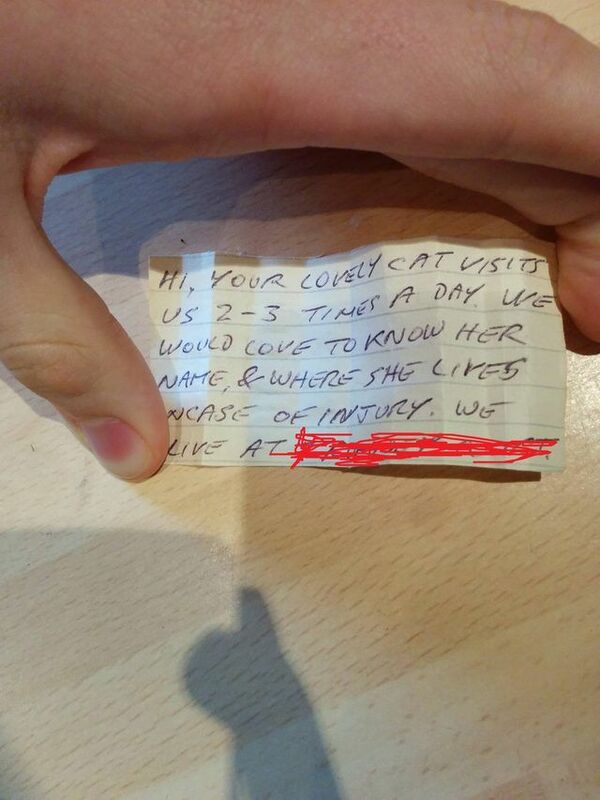 This cat just loves being out and about the whole day and one day its owner found a note attached to her collar, thinking the worse it could be is his cat vandalizing the poor neighbors home in some way, but instead, it was a very special letter. 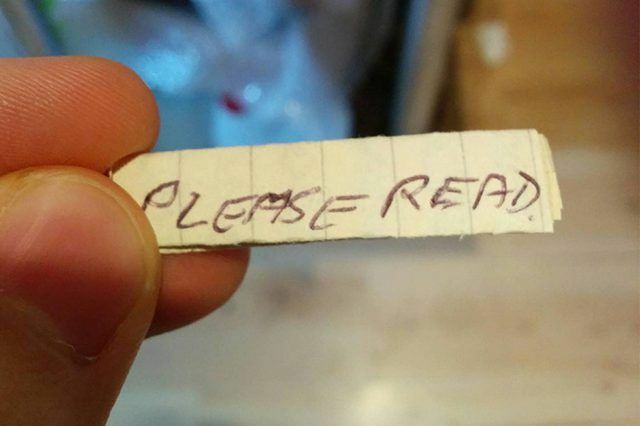 The note said "please read" on the front and the owner was quite nervous not knowing what was written on it. It was a love letter! 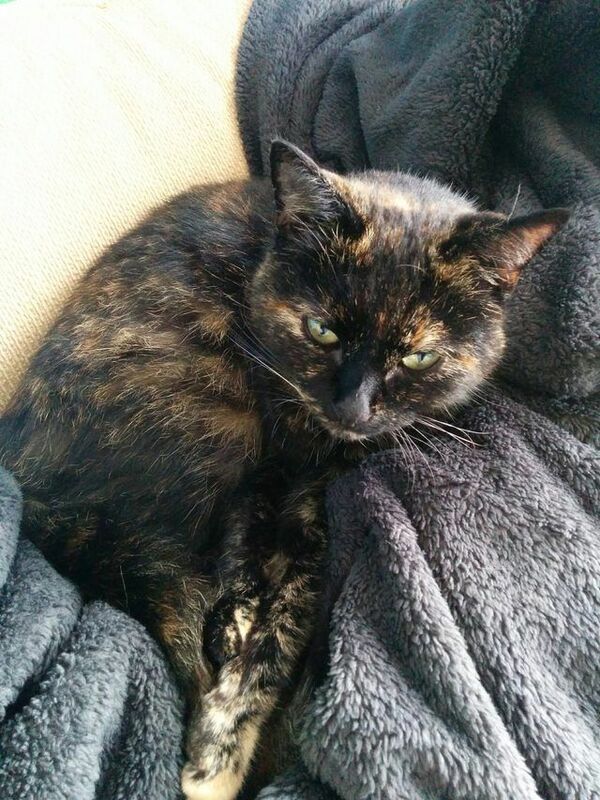 The neighbors wanted to know what this adorable cat's name was and where she lives for in case something happens. They love her. And they want to help her. It turns out that this cat has a second family she goes to visit twice a day for some free food of course and a head scratch here and there. Her name is Nala and she is having an affair with the neighbors, but at least they are great people and they like old-school messaging. Bonus! Nala's owner will be responding with another note to the neighbors and will hopefully get her a name tag with contact details for in case something happens. It's a happy ending. Yippee!